Your Plainville residence needs a reliable heating system at least eight months a year and we are standing by at Chiarillo's to help you. Many people call their heating system a furnace whether it is or not. You have a furnace when forced warm air is blown up through the system and through a register. This kind of furnace depends upon gas or oil for fuel plus electricity for the motor. 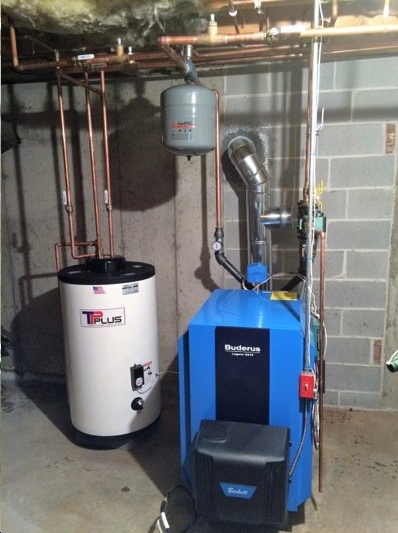 We are the experts in installing furnaces, repairing furnaces and replacing oil tanks. We will replace worn out ducts anywhere in the home. We can make a switch from oil to gas and vice versa. If you have special requests such as adding a humidifier to your heating system, ask us for an estimate. 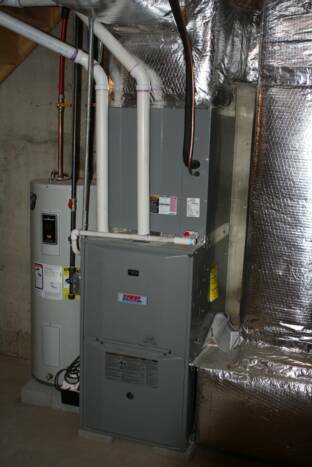 We're even the company to call when you have a West Hartford home for sale and need a furnace inspection. Perhaps you have a heating system that uses a steam or hot water boiler. If you live or work in a building where heat comes out of a radiator, a boiler is providing the heat. The heat also can be sent through hot water baseboard, radiant floors or a hydro air system. Boilers also use oil or gas for fuel. We have installed and repaired many hydronic boiler systems which provide both heat and hot water to homes. Ask us about the best solution for you in Plainville. Under-floor radiant heating is an option for Plainville residents. Instead of heating the air first like a furnace does, a warm element such as a floor, wall or overhead panel emits heat energy and warms people and other objects. It's a heating system that must be installed correctly and our team has the training and experience. We know that it works the best when the home is designed from the start to have radiant heat. If you're a builder, call us for a consultation and an estimate.